At Warshauer & Santamaria, our Prosthodontists are skilled architects who can restore the function and appearance of your teeth. They are experts in dental aesthetics and are clinically trained in porcelain crowns, dental bridges, veneers, inlays, complete and removable partial dentures, dental implants, TMJ jaw joint problems, traumatic injuries to the mouth’s structures, congenital or birth anomalies, snoring and sleep disorders, oral cancer reconstruction and continuing care. 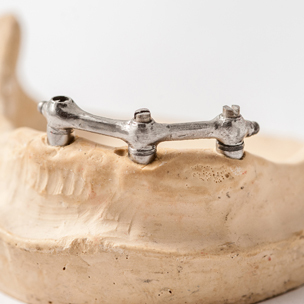 Each one of our Prosthodontists is a master of complete oral rehabilitation and is dedicated to maintaining the highest standards of care in the restoration and replacement of teeth.